A 35-year-old Blaine County man was sentenced to six months in jail Monday for his second felony DUI conviction. Chad D. Ramsey, of Carey, was also sentenced to seven and a half years in prison, a sentence Blaine County 5th District Court Judge Robert J. Elgee suspended but said he will reinstate of Ramsey fails at probation. Ramsey was placed on five years probation, had his driver's license suspended for two years and was ordered to enroll in drug court. Elgee declined to give Ramsey credit for 68 days already spent behind bars, ordering that he will spend the entire six months in jail. Ramsey pleaded guilty to felony DUI in September in exchange for a dismissal of a misdemeanor charge of driving with a suspended license. In sentencing, Elgee followed a joint recommendation of the Blaine County Prosecuting Attorney's Office and public defender Christopher Simms. 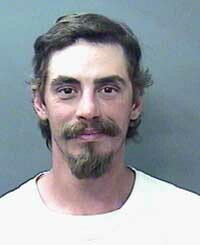 Ramsey's most recent arrest was on Aug. 11 in Bellevue. He has remained incarcerated since then. This was his fourth DUI conviction. He was convicted of felony DUI in 2009 and of misdemeanor DUI in 2008 and 2006. For the 2009 conviction, he was sentenced to a suspended prison term of up to five years and placed on three years probation. In his three latter convictions, he was also charged with driving with a suspended license. "That's something that seems to happen every time Mr. Ramsey gets in trouble for driving under the influence," Deputy Prosecuting Attorney Matt Fredback said at Monday's sentencing hearing. Fredback also said the conviction was Ramsey's third felony. According to Idaho court records, Ramsey was convicted of felony possession of a controlled substance with intent to distribute in Ada County in 1999. Records state that he was also convicted in Jerome County in 1997 of three misdemeanor crimes: possession of a controlled substance, possession of drug paraphernalia and carrying a concealed weapon. Fredback described Ramsey as "dangerous to the community" when he drinks and said "this is the last chance he has." Simms described his client as a "true son of Sun Valley," saying he was born and raised in the Wood River Valley and that his father works for the sheriff's office and his mother for the school district. Ramsey's father is Blaine County Chief Deputy Gene Ramsey, court officials said. Simms said Chad Ramsey "knows he has a history of alcoholism" and has been involved in treatment since 1999. Elgee ordered that Ramsey enroll in drug court within two months of his release from jail. Blaine County Drug Court offers convicted drug and alcohol felons a chance at rehabilitation instead of prison.